Click on any of the above links to learn more. While other fire protections companies might give you a lower per unit price to start, our clients have found that they will often tack on additional charges for replacement parts and other small services once they are on site. In contrast, at Code Three Fire & Safety, we provide flat-rate, upfront quotes, so you can rest assured that there will be no surprises when you get your final bill. Our fire extinguisher, fire sprinkler system, fire suppression system, and fire hydrant testing, inspection, and maintenance services are all inclusive and still very affordable. They include everything from testing to chemical and component parts replacement to training and education. While we keep our pricing competitive, we're also provide the highest level of service from experts in the field. Our technicians are extremely knowledgeable and very experienced. They arrive prepared, thoroughly test and inspect every piece of fire safety equipment, and maintain detailed inspection records for all of our clients. We also help keep our clients current with their inspection schedules by providing proactive reminders. And, because we know from our experience volunteering for the local fire authority what can happen when a fire gets out of control, we provide our clients with free fire safety training and education on what to do in the event of a fire and how to properly and safely use their fire suppression systems and fire extinguishers. While our competition often charges for such training, we feel that it is simply an important life safety skill that everyone should have. Call today to schedule any of our fire protection system inspection and maintenance services for your Fairfield, Suisun City, Vacaville, Napa, Concord, Antioch, Vallejo, Pinole, Rio Vista, or surrounding city property. There are no long-term contracts, and we can schedule a visit on short notice. We are aware of all federal, state and local fire code requirements and are licensed by the State Fire Marshal and Contractors State License Board. 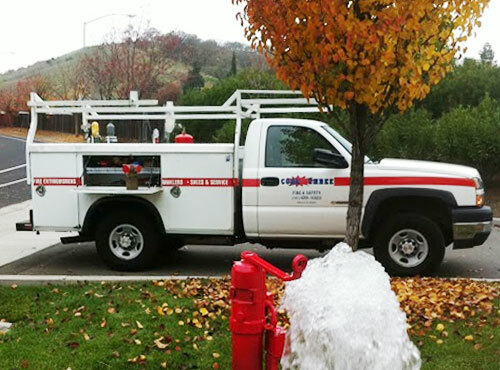 If you have an “off-street” or privately owned fire hydrant (frequently found on mobile home parts, large commercial properties, and homeowner communities) in Fairfield, Vacaville, Napa, Concord, Antioch, Vallejo, Rio Vista, Pinole, or any other nearby city, there's a good chance that you are required to have it inspected annually. 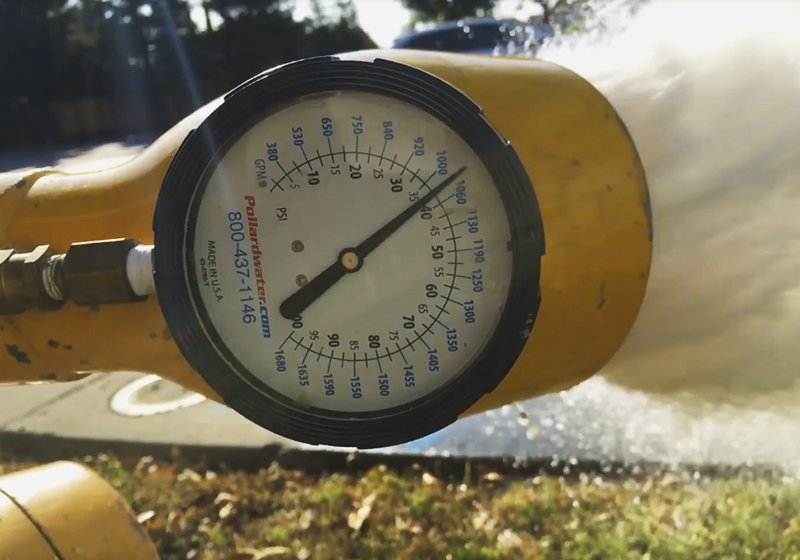 Our fire hydrant testing, inspection, and maintenance services not only keep you in compliance with state and federal codes, but also ensure that you can depend on your hydrant in the event of a large fire on your property. During an annual fire hydrant inspection, we check that a water supply is connected, exercise all the valves to ensure that they're working correctly and not leaking, and verify that there is sufficient water pressure (at least 1,000 psi) coming out of the hydrant. Call today to schedule our comprehensive and competitively priced fire hydrant system testing and inspection service. Code Three Fire & Safety makes it easy and affordable to comply with hydrostatic testing requirements for fire extinguishers. The required frequency of hydrostatic testing for each fire extinguisher depends on its environment and type. For example, a dry chemical fire extinguisher that stays stationary in a building needs to be tested once every 12 years, while the same extinguisher stored in a vehicle would need to be tested once every five years. Our team of fire prevention experts will let you know which fire extinguisher services are required to keep your business in compliance with current fire codes and provide timely reminders to ensure you stay on schedule. All hydrostatic testing is done at our facility, so we provide loaner extinguishers while yours are out for testing. Call today for a free over-the-phone quote. We provide fire extinguisher hydrostatic testing to clients throughout Fairfield, Vacaville, Napa, Concord, Antioch, Vallejo, Rio Vista, Pinole, or surrounding cities.